JALANDHAR: After Punjab Police linked an alleged terror module to a US resident Harjap Singh Japhi, who, the officials claim, is associated with US-based rights group Sikhs For Justice (SFJ), the latter has refuted police’s allegations of terrorism against Sikh activists campaigning for “Referendum 2020.” It has announced to provide legal defense to its US and Punjab based campaigners. 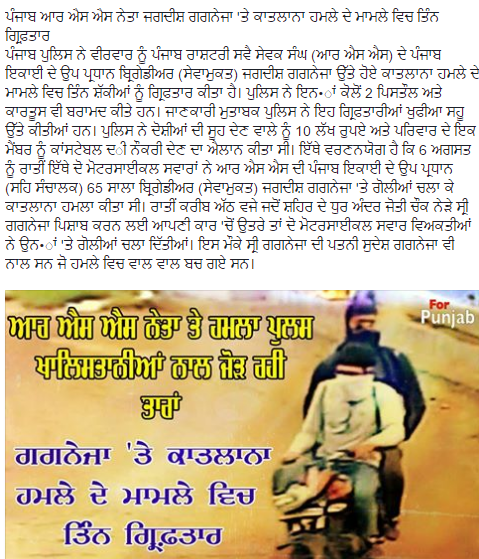 SFJ on Thursday claimed that Jaspreet Singh Jassa, Hardip Singh and Kuldip Singh, who were arrested by Hoshiarpur police and belong to district Hoshiarpur, were being falsely charged with terrorism by police while they were “in fact political activists who just distributed pamphlets and T-Shirts in support for referendum.” “We reiterate our commitment to continue the campaign’Punjab Independence’ through democratic and peaceful means,” said SFJ legal advisor Gurpatwant Singh Pannun. SFJs website and Facebook page have already been blocked by Indian Government for running referendum campaign. “Now filing of fabricated terror charges against SFJ’s campaigners is another attempt to silence the demand for Punjab’s independence”, he added. “SFJ with over hundred thousand followers on Facebook and Twitter is an international advocacy group propagating for Sikhs right to self-determination as guaranteed by UN Charter and International covenants and is seeking referendum in the State of Punjab,” he held while claiming hat many Sikh activists who were participating in SFJ’s campaign in Punjab by distributing referendum pamphlets and T-Shirts were being targeted by the police. 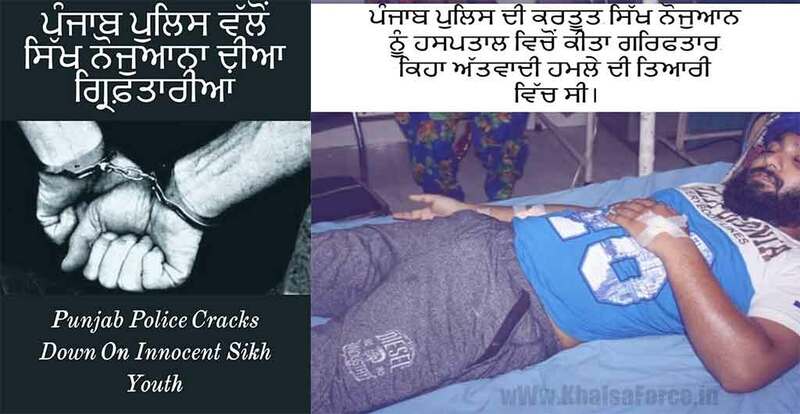 On June 6, during Operation Blue star anniversary many Sikh youths who were wearing and distributing Referendum 2020 T-Shirts were detained by the Police, he alleged.